In semiconductor manufacturing, bulk gas moisture specifications at the single-digit ppb range are the norm. Moisture can cause particle formation and may result in defects that adversely affect device yields. Thus, the ability to detect moisture at exceptionally low levels is critical. 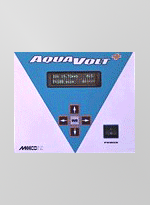 The AquaVolt+provides precise, on-line moisture monitoring for ultra-high-purity applications, such as semiconductor manufacturing, specialty gas applications, mobile cart applications, and research and industrial labs. 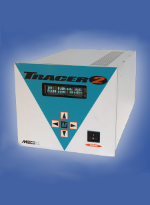 The Tracer 2 gives you the quick response required to maintain UHP levels of your gases. This modular moisture analyzer detects moisture contamination in bulk process gases, such as Nitrogen, Argon, Helium, Hydrogen, and Oxygen. As its name implies, the Tracer 2 also detects leaks within the process, affording considerable savings in yields.